Obituary for Velma Lee Donaldson | House of Wheat Funeral Home, Inc.
Velma Lee Donaldson, 88, of Dayton, Ohio, born June 18, 1930 in Louisville, Mississippi, passed away Thursday, November 1, 2018. She was the fifth oldest of seven children. She graduated from the Mississippi Training School, after which, she taught elementary school. She married Lessley Donaldson in 1957, and moved to Dayton, where she became the proud mother to three sons, Spencer, Lessley, and Carl. After losing her husband in 1975, she went into the workforce as an independent contractor. She started a cleaning service, where she became a loyal friend and employee to multiple families within the Dayton area. Anyone who had the pleasure of meeting Velma, knew of her infectious love for Christ. She was a devoted member and mother at Bethel Pentecostal Church for over 30 years. 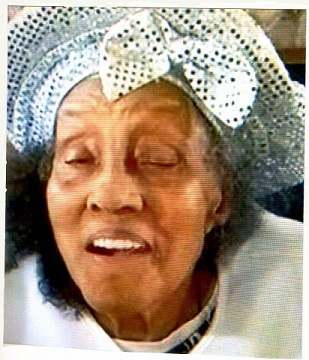 She served in many capacities at the church, including Sunday school teacher, bible study leader and devotional singer. She was a true matriarch and caregiver. She stepped in to take care of her grandchildren after the loss of their mother to breast cancer and then helped to raise another grandchild, after the untimely illness of their parent. Exhibiting God’s love to every person she met, she had an open-door policy to friends of her children and grandchildren, because of this she was well-known in the Dayton community, as “Granny” and “Mother Donaldson”. She will truly be missed by both family and friends. Preceded in death by her parents, Gussie and Ervin Hughes; her siblings, Nora Jefferson Hughes, Luther Hughes, Willie Earl Hughes, Mary McDaniel, Ulysses Hughes, Lucious Hughes; her husband, Lessley Donaldson; her daughter-in-law, Irelita Donaldson. She leaves behind her sons, Spencer Donaldson, Lessley Donaldson, and Carl Donaldson; daughters-in-law, Joyce Donaldson and Anita Donaldson; grandchildren, Dawnyel Donaldson Manning, Angela Donaldson, Jamaal Donaldson, Sean Donaldson, Lessley Donaldson, Timberland Donaldson, Deon Donaldson, Kenyatta Brown; nine great grandchildren; and a host of nieces, nephews and friends. Homegoing service will be held 1:30 pm Wednesday, November 7, 2018 at the House of Wheat Funeral Home, Inc., 2107 N. Gettysburg Ave. Pastor Robert Dewberry officiating. Visitation 8:30 am at the funeral home until time of service. Family will receive friends one hour prior to service. Interment Bethel Cemetery in Louisville, MS.